I am thinking about buying an Enterprise 64 machine I have found locally, but I have a couple of questions. 1) It doesn't come with the BASIC cartridge, can I do anything with this machine without that cartridge, is it possible to load games from tape without it? 2) I can easily program an eprom with the contents of the BASIC cartridge, and can probably make my own cartridge PCB. Is the ROM file available anywhere for download, and is it possible to find out the circuit diagram of the cartridge itself? 3) Am very very keen on getting this to run ZX Spectrum games, how easy is that to do? I have seen pictures of external PCBs, but also talk of ROMs, do these go inside the EP64 or do they need an external PCB. PS - Hiya from sunny Australia! 1) Yes, you can load the games without any cartridge. Actually there are games which only work if you don't have any cartridge plugged in. 2) Yes, you can find ROM files here too. Check the EP128emu! The emulator installs a lots of ROMs to your pc. As far as I know these .rom files can be burn into EPROMs. Superb - that was my main concern, I had a Sega SC1000 a few years back and that had no cartridges, to tell it to load you needed the BASIC cartridge to issue the load command, so it was basically a door stop. Can you shed some light on the spectrum emulator board, is that an external PCB or an internal ROM swap. Am not averse to etching an external PCB if need be. Sorry, I can not help you with the emulator, but I'm sure Zozo can help you tomorrow. The most easy way to solve the missing Basic problem: upgrade the machine ROM to EXOS 2.31, this version have a BASIC inside. Only problem: needed to dismantle the machine, and solder one wire for the higher capacity EPROM. But also recommended the ROM upgarde, because the most of programs are compatible with the EXOS 2.1 or higher ROM. The EP64 originaly come with the 2.0 version. But if you can easy to produce PCB lets do it! There is the schematics. Yes it is a external card, which is also have a own ROM extension. At this topic I writed lot of about the emulator. 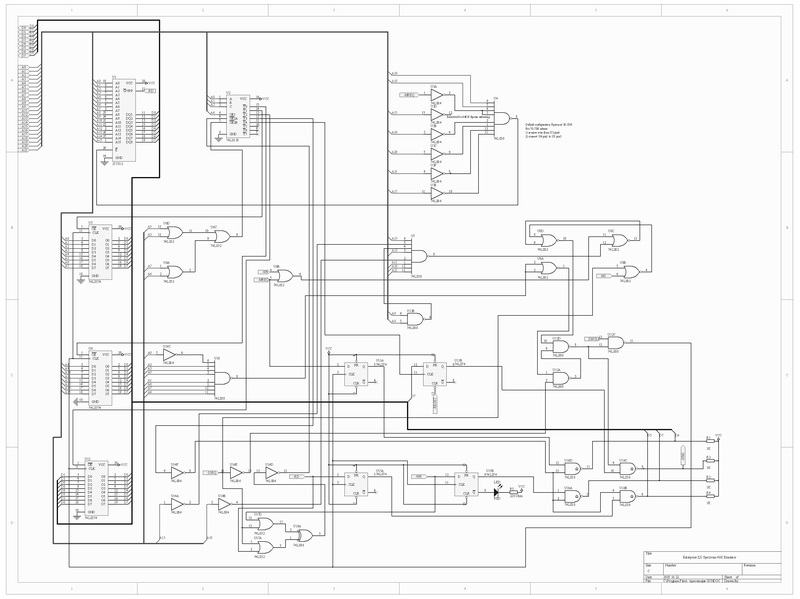 I you want to make own: there is the schematics of the latest version. The memory extension is also good idea, because the most of Enterprise programs run only 128K machine. There is the list of the EP64 compatible games. An the EXOS ROM upgrade is also needed for the emulator. There is the list of the EP64 compatible games. By the way some of them (about five) run only with the basic cartridge (e.g. Beatcha, Steve Davis Snooker) as they are fully or partly written in IS-Basic. How much would you want for a basic cartridge? Am after one with the cover sticker in good condition. I'm Gryzor, active in the CPC scene (and maintainer of cpcwiki.com), and I just bought an E64 mint and boxed off ebay! Yay! We see it nice good looking machine! The main problem: the EP64 have a green joystick cap, and the EP128 have a grey. It is possible to found grey cap sometimes on Hungarian auction sites (few weeks ago I bought one for Mika73). Welcome here!We see it nice good looking machine! Heheh, yes, I guess when such a rare machine shows up the whole community sits up and watches... thanks for the welcome! Btw, I paid £220 for it, what do you think of the price? Thanks for the tip! I guess a grey one is better than no cap at all, right? But, Hungarian sites, eh? Hmmm... why couldn't they export it to some country whose language I understand? Just kidding of course. Would it be possible for you to give me some pointers to those sites, and maybe tell me what search terms to use? Thanks again - you'll be seeing more of me here! PS Anyone's got any games they wanna sell? Btw, I paid £220 for it, what do you think of the price? My boxed machine came from Spanish eBay shop, for a 200 euros. The easier solution: when I see one, I can bid for you. Many times needed to bought a full collections for I get one which are missing my collection , and now I have lot of duplicates. If you interesting, I will send a list with prices. I observed the auctions in the past years and see about five boxed EP64 machines, the average price is about 200 GBP. Ah, so I was close to the mark. I'm a bit surprised it's cheaper than the Sam Coupe though (of which I also have one!)! My boxed machine came from Spanish eBay shop, for a 200 euros.Yes!!! That would be superb, really, but I'd hesitate to put you into trouble... I will send you my email address just in case, and I'd be eternally grateful, but I'd have no problem looking for one myself, too, if I knew these sites! Ahhhh yes please do, that'd be nice indeed... Something to play with except for the demo tape! Sam Coupe though (of which I also have one!)! I'd have no problem looking for one myself, too, if I knew these sites! Ok, I will send the list of available tapes. I sent the list to you!